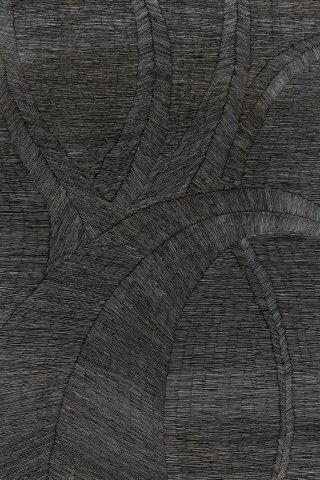 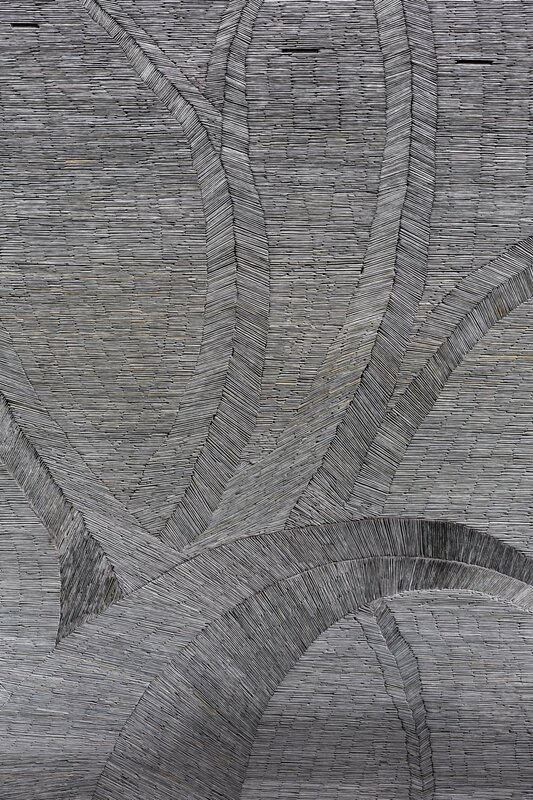 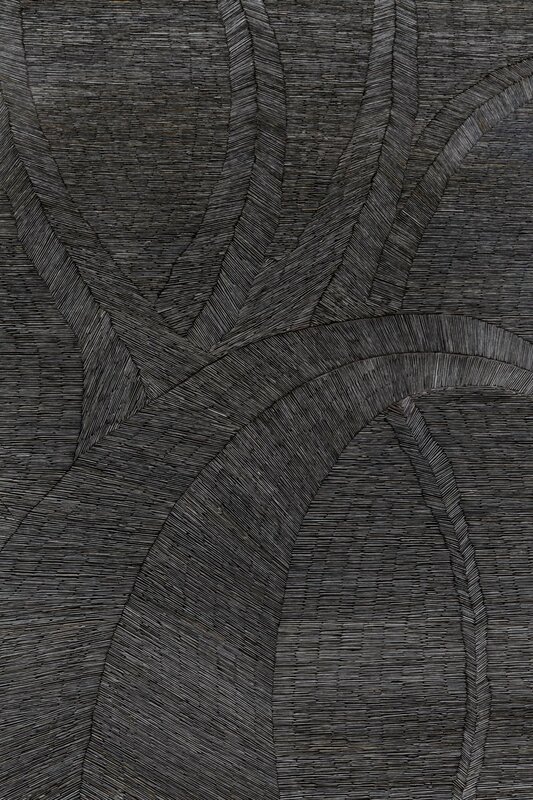 This work takes inspiration from a black walnut tree photographed by the artists in the Cambridge University Botanic Garden. 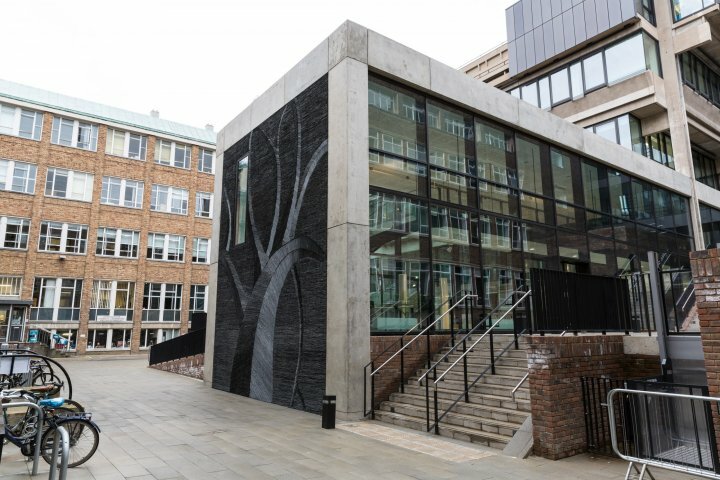 This acknowledges both the history of the New Museums Site as the original home to the botanical garden in the 18th century and the archetypal ‘tree of life’ that has been used in science, philosophy, art and mythology for centuries. It alludes to the connection of all life on planet Earth, serving as a metaphor for common descent in evolutionary biology as famously captured by Darwin’s drawing in On the Origin of Species. 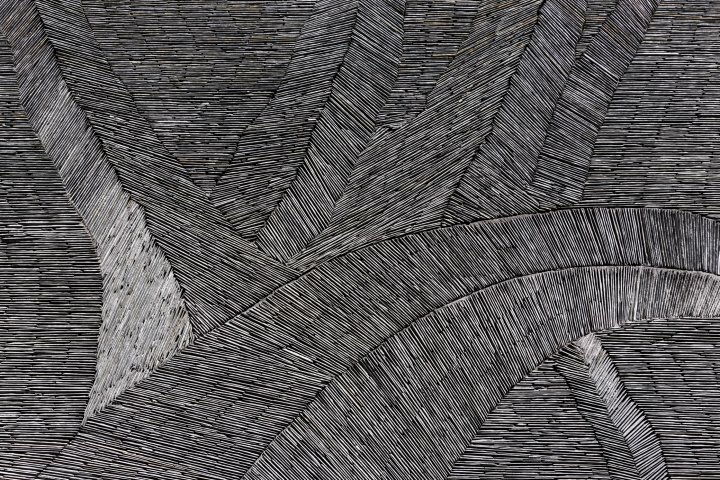 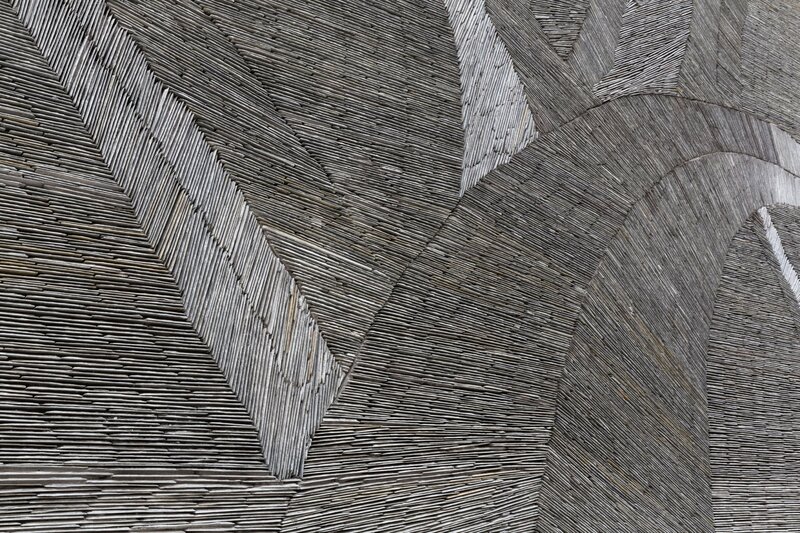 The artwork is akin to a graphite pencil drawing with subtle shading and tonalities that shift and change as the light plays across the slate surface. 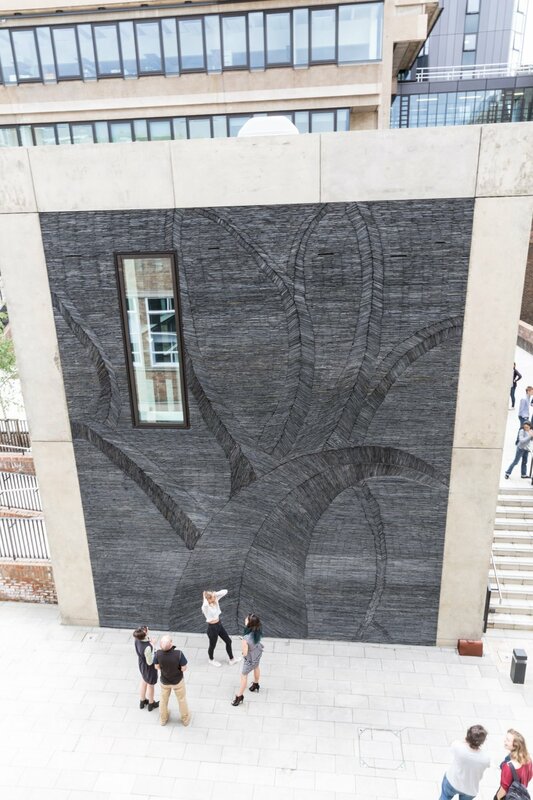 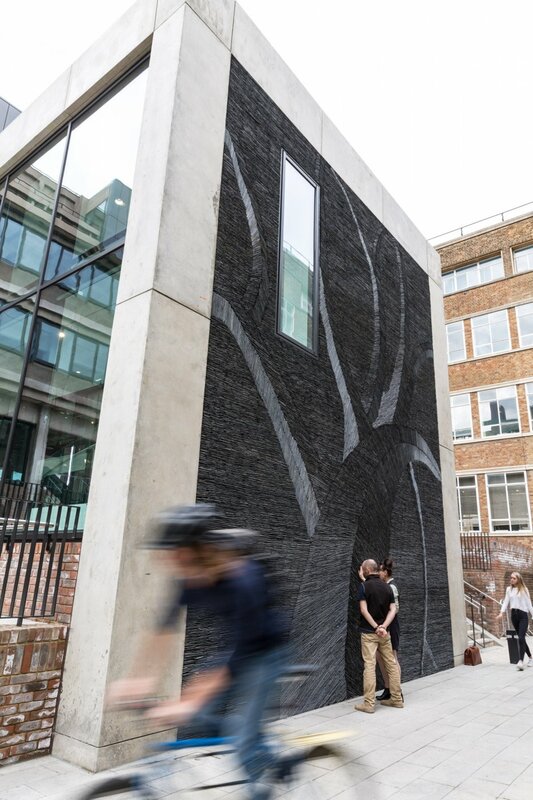 The colour of the slate medium echoes the tall grey towers, iconic landmarks of The David Attenborough Building, providing an important art/architectural visual link. 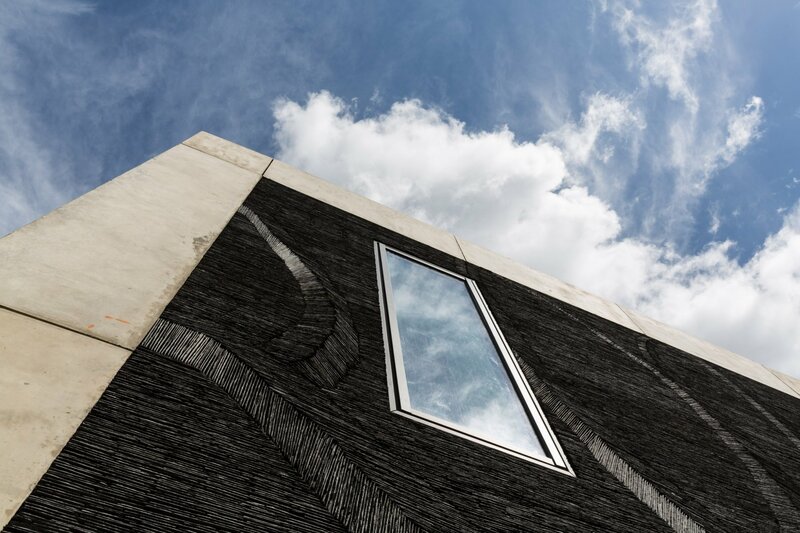 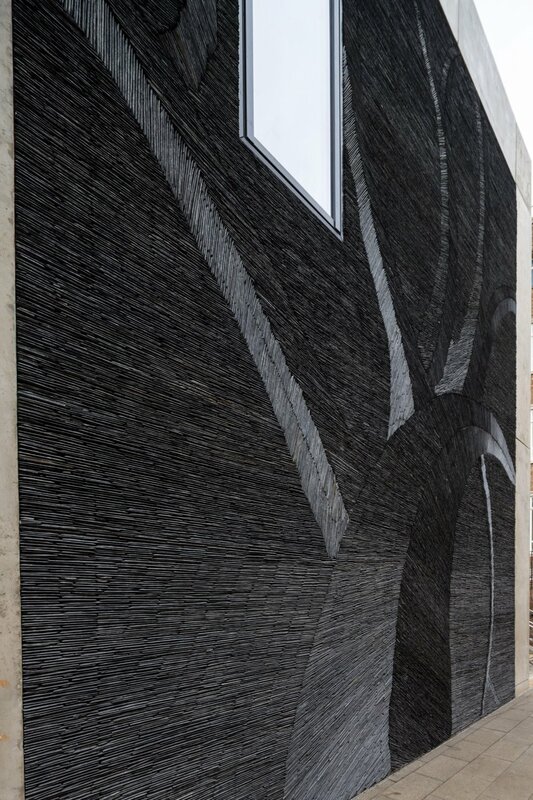 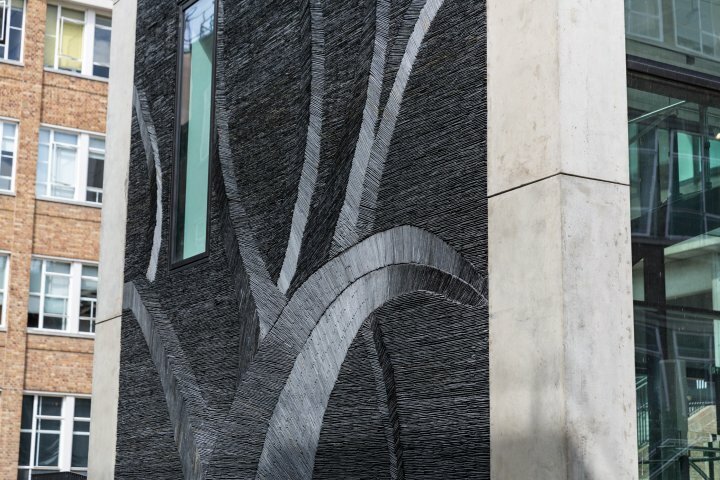 Constructed from over thousands of layers of slate and built up to create an intense stratum visual effect, within the wall is discrete habitat spaces to attract a range of wildlife including bats, solitary bees, spiders and insects. 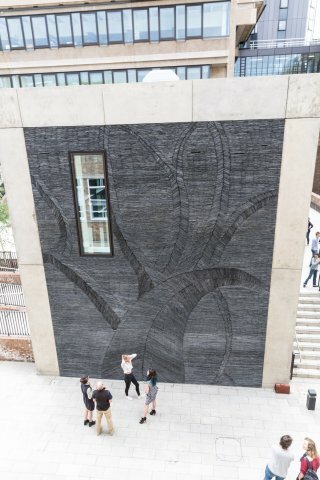 The Museum of Zoology launched a project with local schools and over 3,000 snail shells were collected, many of which will be placed into the wall. 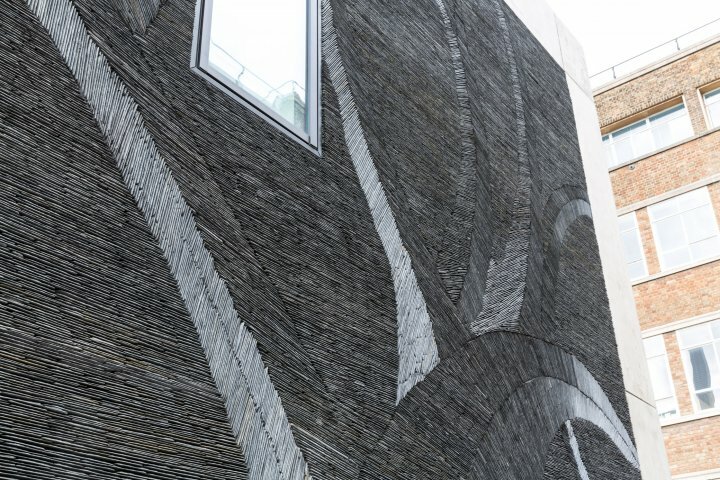 Over 500 million years old, Welsh slate is acknowledged as the finest of its type worldwide; light grey in colour with a subtle reflective surface, the riven cut edge lends a chalky white slant to the grey, and the material used in the artwork is a waste product from the roof tiling industry.